Truck Equipment Sales proudly offers new body sales to our customers of the Morgan Van Body Line. They are the country's largest manufacturer of Class 3 to 7 dry freight van bodies and refrigerated truck bodies. Morgan is also a recognized leader in customized building of curtainsiders, furniture / moving van bodies, cut-a-way van bodies and stake / platform truck bodies. Morgan manufacturing facilities are ISO 9001: 2000 registered. We have complete service capability to repair most Dry Freight makes. We repair walls, floors, roofs, corner caps, rear frames, doors, body replacments, Etc. 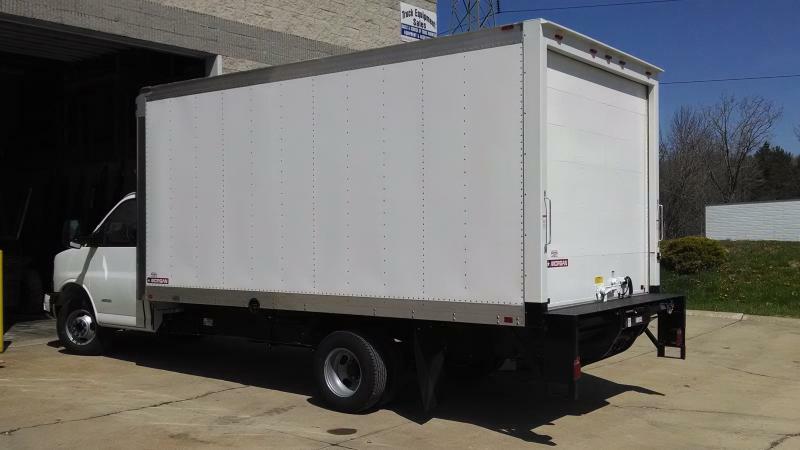 We can also help you customize your existing box by adding E-track, side doors, steps, liftgates, refrigeration units, insulation, Nose Cones, underbody ramps, vents, walkways/ladder racks, ETC.